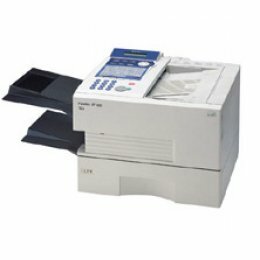 Panasonic UF-885 Fax Machine 33.6 kbps modem 3-second transmission 2.7 second quickscan tri-access 50 pg. ADF 60 pg. expandable memory 200 autodialers 24 department codes PC / LAN compatible 10 ppm printing @ 600x600 dpi expandable 500 sheet paper tray (Not Included in Price) Speed is only one of the ways in which the UF-885 boosts office productivity. Thanks to its high-capacity memory, this versatile machine can perform multiple jobs at the same time. 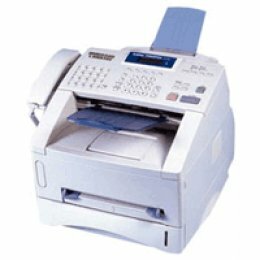 For instance,while transmitting a fax from memory, it could also be printing out a document from a PC while you reserve the next transmission. Or it could be receiving a fax, printing a fax from memory, and getting ready to send a fax.